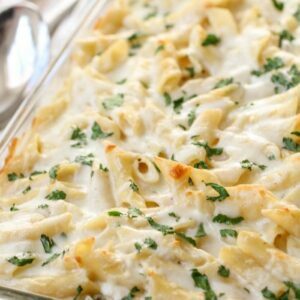 If you like creamy, cheesy, white sauce pasta then you'll absolutely love this Three Cheese Pasta Bake Recipe. Filled with Ricotta, Parmesan and Mozzarella Cheese, and is SO easy to throw together! The whole family loves this recipe! !